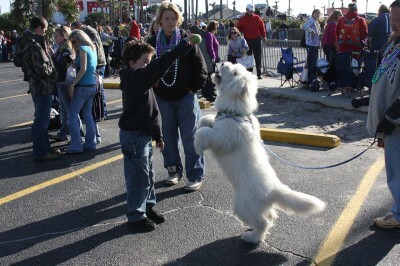 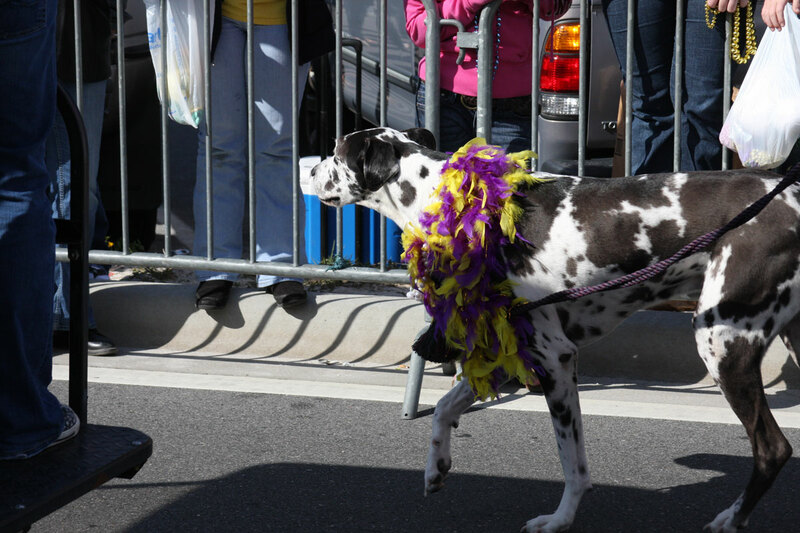 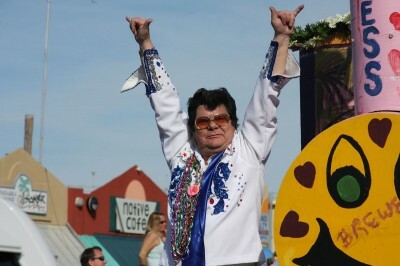 Here are some of the pups I saw throughout the day at the Pensacola Beach Mardi Gras Parade. 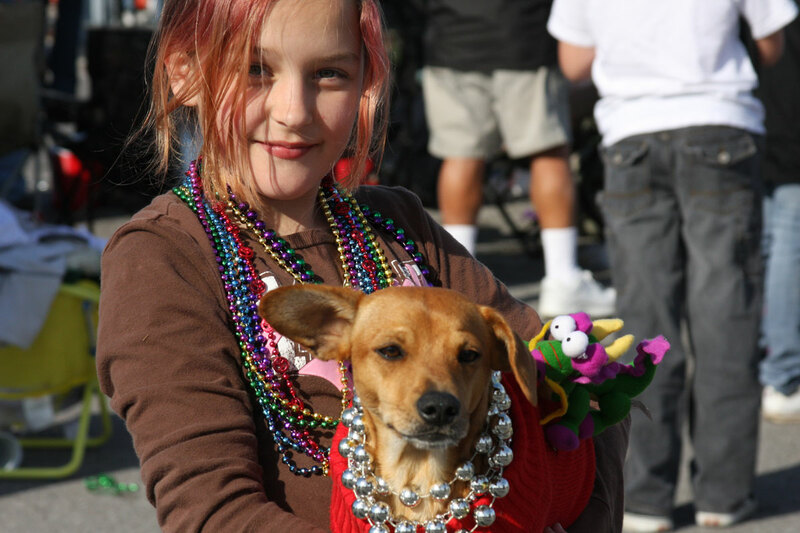 Remember, you can click these pictures to see the large versions of them. I’ve never seen anything like this next one. Wow. 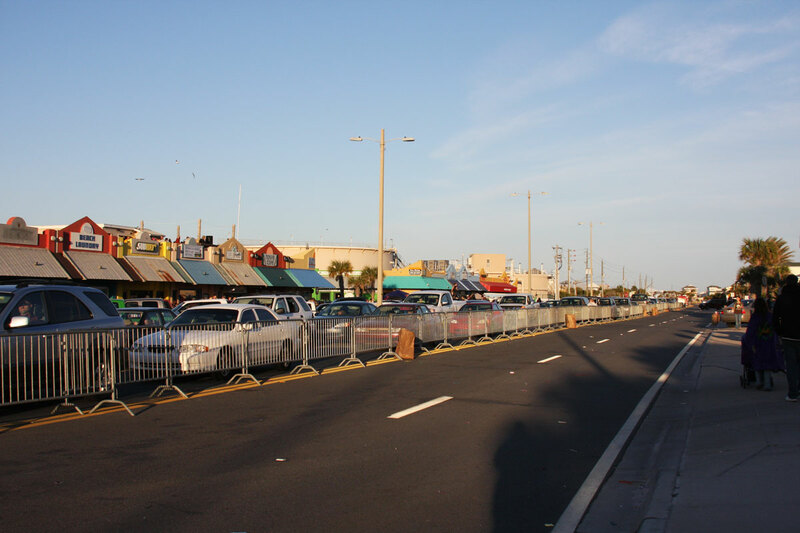 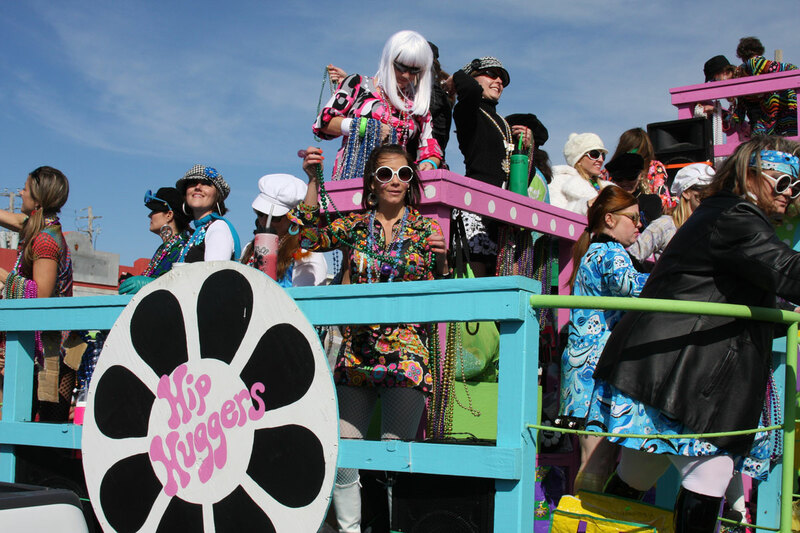 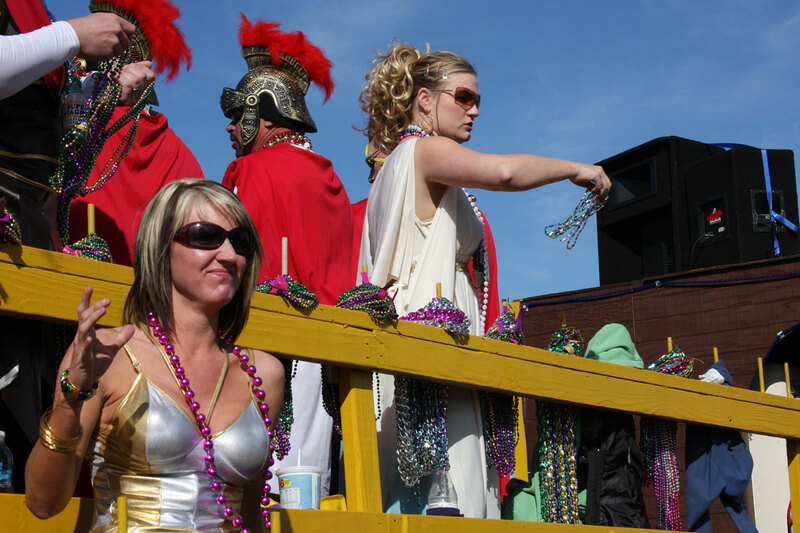 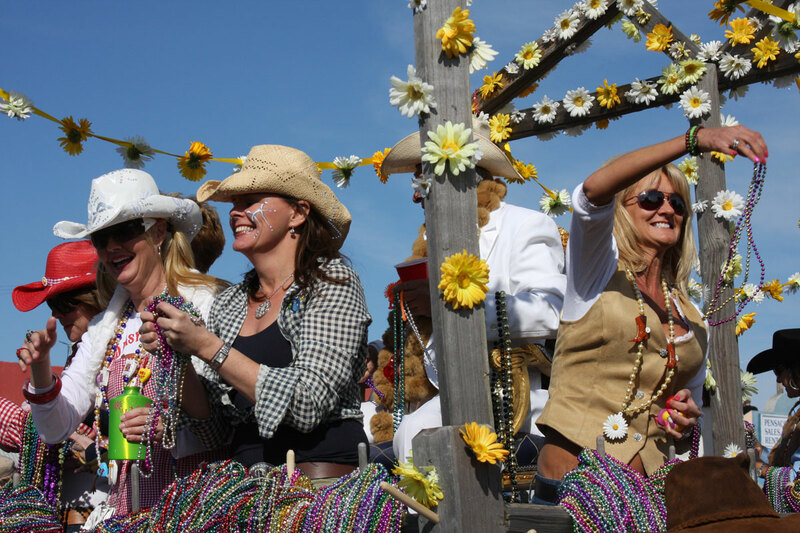 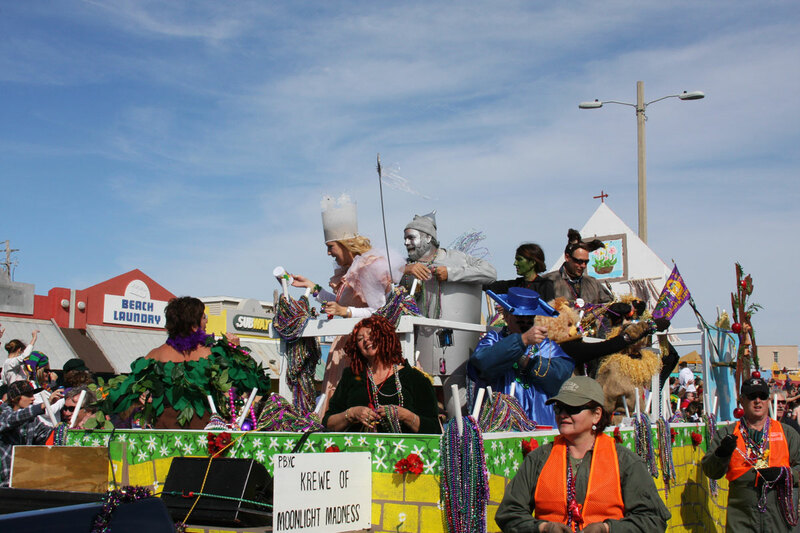 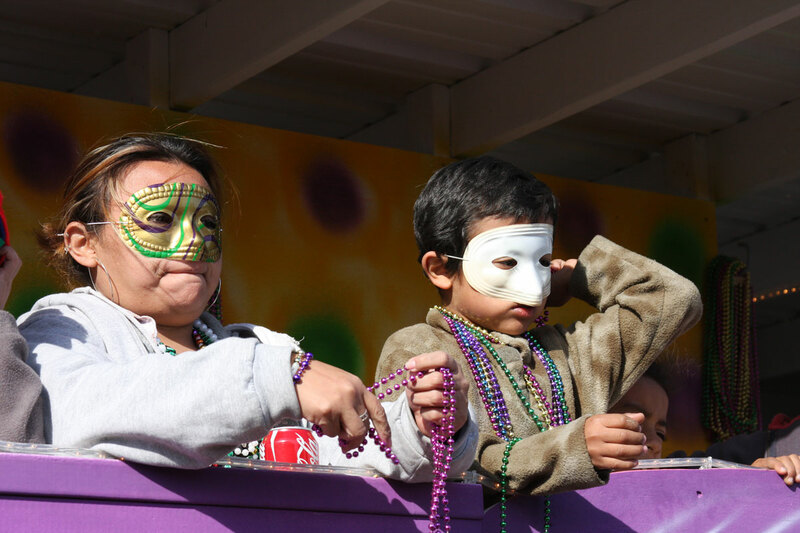 The Mardi Gras Parade on Pensacola Beach was just one of many parades in the area over the last few weeks, but in my opinion, the beach parade is the best one! 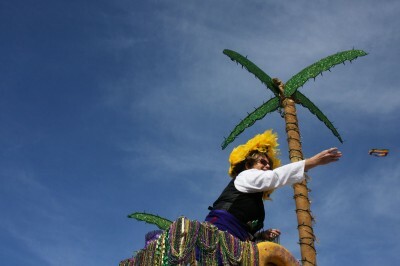 Yesterday, the sun came out just before the parade, which made for much better pictures! 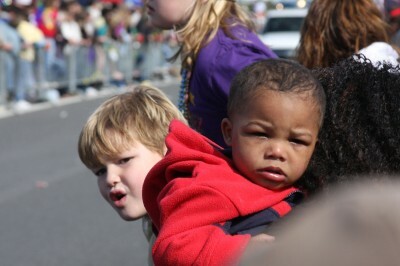 These kids were waiting patiently next to me for almost an hour! 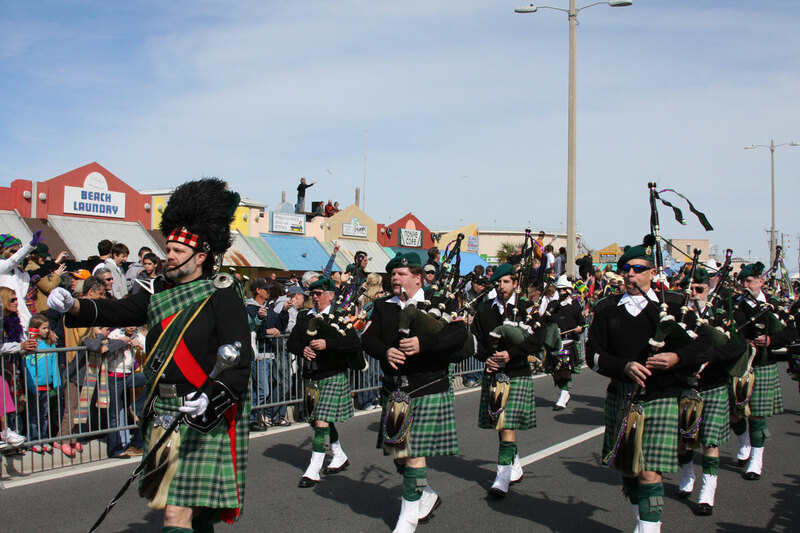 Here’s the first music of the day! McGuire’s Bagpipe Band! 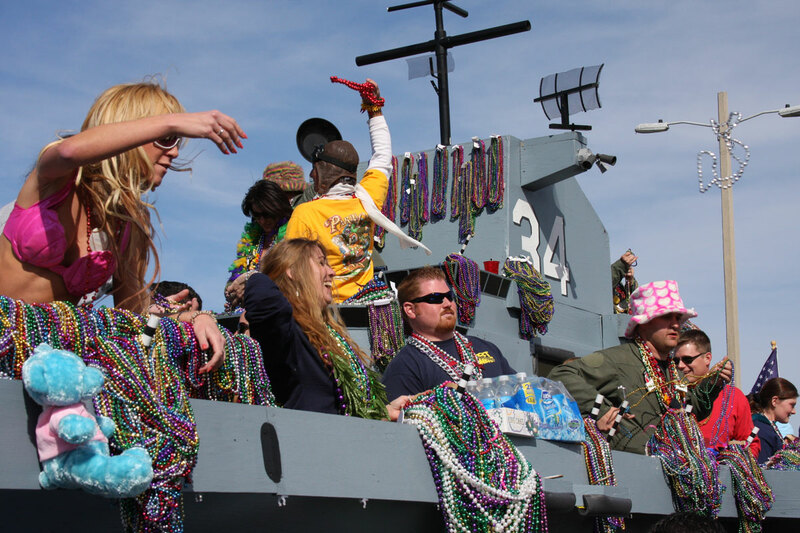 And here come the beads! Look at all of those beads. 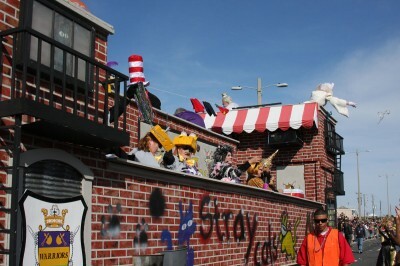 I was trying to find more information about this float. Does anyone know which Krewe or group this was? 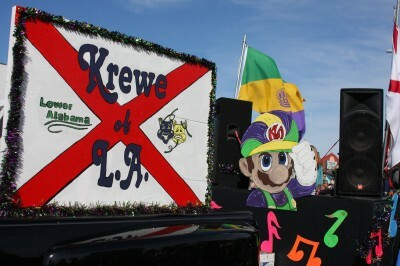 Here’s the Krewe of Lower Alabama, and apparently Super Mario is their mascot! 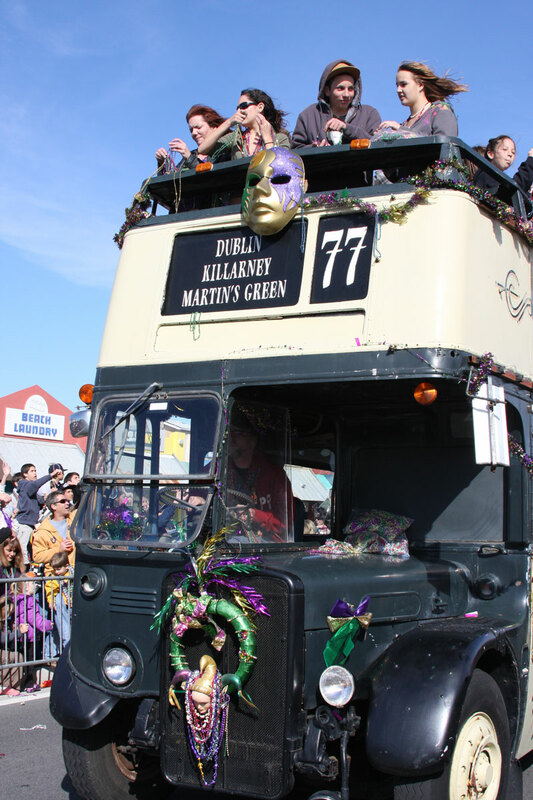 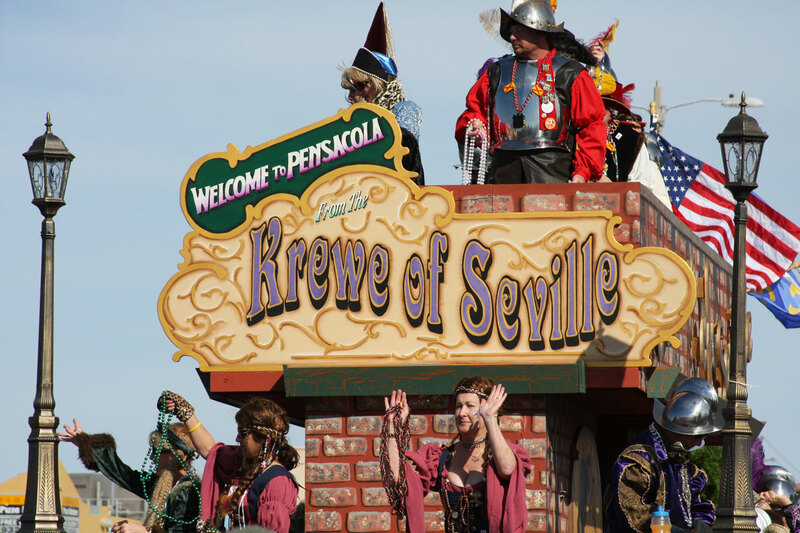 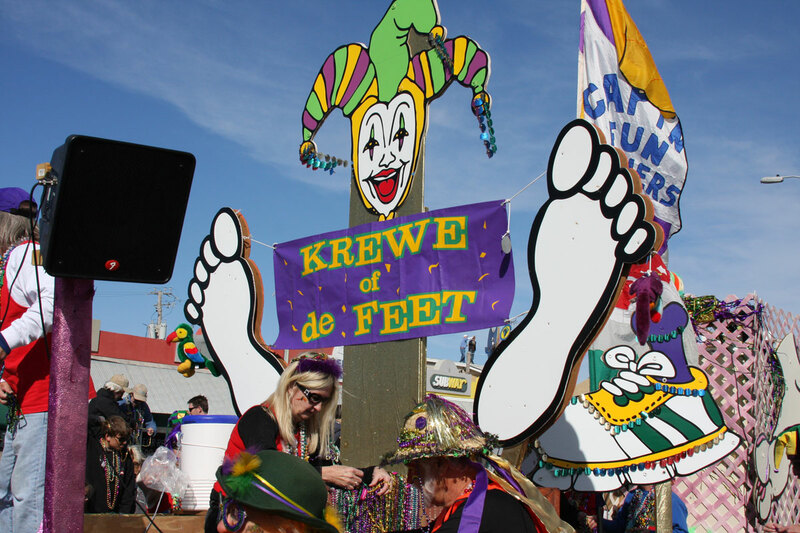 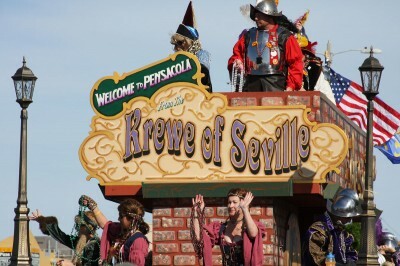 Krewe of Seville – I like the lamp posts! 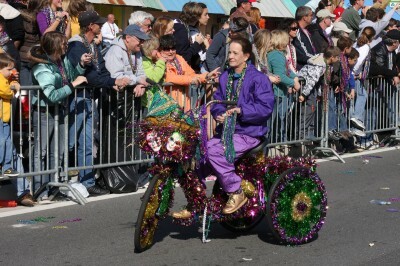 Check out this festive bike! I think their arms were getting tired. 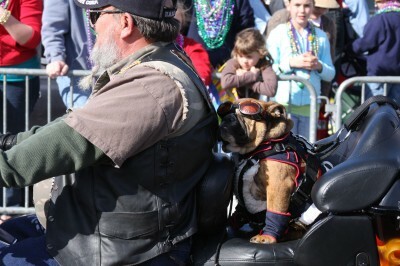 Good thing we’re nearing the end of the road! 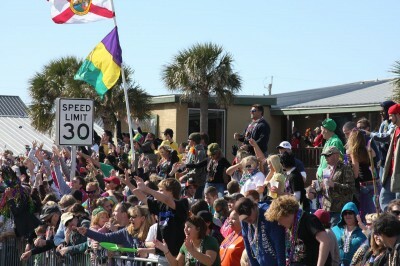 I’m just glad I live on the island and, once again, didn’t have to deal with the traffic leaving the island after the parade. Check out the line of cars! 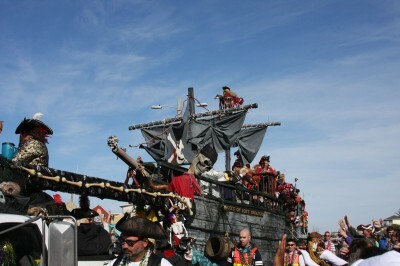 Repeat visitors know not to plan on being off the island for a few hours after an event like this. 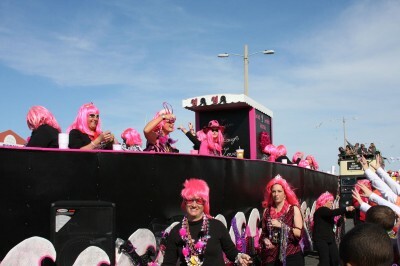 I’m already looking forward to next year’s Parade!